It looks like we have some details on the release date and the price of the new Samsung Galaxy Note FE, the handset will apparently launch in South Korea on the 7th of July. The news comes in a report from Yonhapnews who have also revealed that the Galaxy Note FE will cost 700,000 Won, this is about $620 at the current exchange rate. The pricing details for the Samsung Galaxy Note FE match up with what we heard previously about the handset. 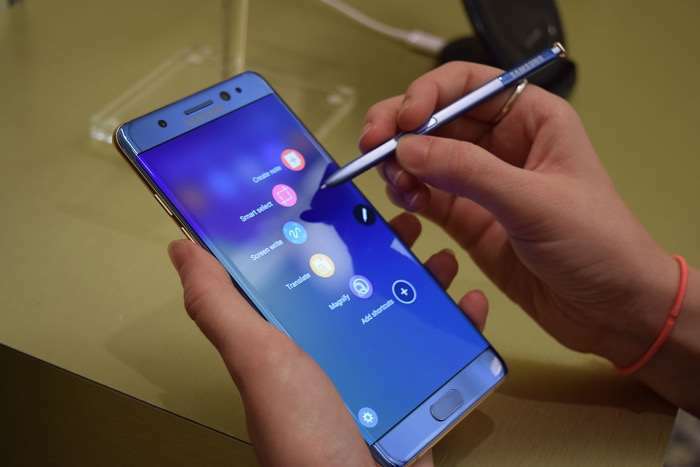 The Samsung Galaxy Note FE is a refurbished version of the Samsung Galaxy Note 7, the handset features a smaller battery than the original Galaxy Note 7. The original handset was recalled and then cancelled due to a number of units catching fire. Samsung has since made a number of changes to its device testing to make sure this sort of thing does not happen again. The Samsung Galaxy Note FE will only be available in South Korea and some other countries, it will not launch in the US or Europe. We will have to wait until later in the year for a new Galaxy Note when Samsung launches their new Galaxy Note 8, this device is rumored to launch some time in August.